Overview : The ultimate way to utilize a keyboard and mouse on your Xbox 360 console just got even better! XCM has lisented to customer feedback and have produced the Sniper Edition XFPS 360 console which allows for total keyboard and mouse control on the Xbox 360, which results in a vastly improved gameplay experience on top selling titles such as Halo 3 and BioShock. The Sniper also supports the use of Playstation controllers on the Xbox 360 and this simply could not have come at a better time with the release of Pro Evolution Soccer 2008. XCM are sure that this latest build is the gateway to perfect keyboard and mouse play and promises greater sensitivity, greater smoothness and greater sniper like precision. 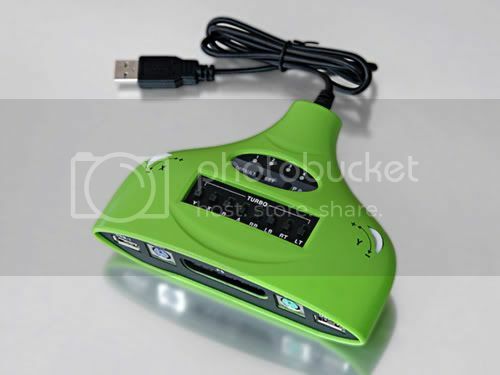 The XFPS 360 is an innovative keyboard and mouse adapter for the Xbox 360 which begins an unrivalled First Person Shooter (FPS) experience to the next-generation gaming console. Not only is the XFPS 360 compatible with all standard PS/2 input devices but also modern USB keyboards and mice. But wait, there's more! The XFPS 360 even makes traditional PS2 DualShock2 controllers compatible on the Xbox 360, as well as a plethora of peripherals. This exquiste device even manages to bring auto fire functionality to the Xbox 360, now that tops off what promises to be the must have peripheral for years to come! Quality/Usability : As we have already reviewed the original XCM XFPS 360 and XCM XFPS 360 PRO, this review will just talk about the new feature that was added to the 3.0 Sniper Edition. The 3.0 Sniper Edition is nothing more than just a slight improvement and color change from the XFPS 360 PRO version. Instead of white with black dials, its lime green with white dials. Design is the same exact thing with no change except for what was mentioned above. The only difference is the slight improvement to deadzones on the XFPS. 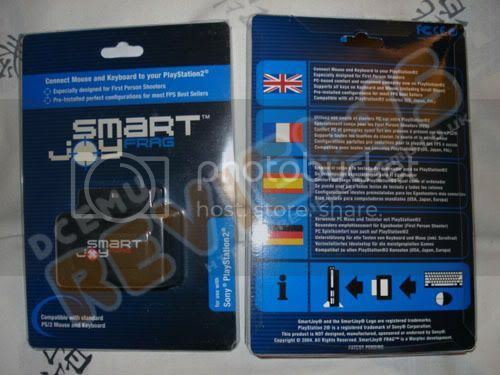 With the XFPS PRO, I used an adapter called SmartJoy Frag that was made for the PS2. This helped eliminate majority of the deadzones. But to get this adapter to work, you needed to modify it so that it would output enough power to power your keyboard and mouse. The 3.0 Sniper Edition tried to incorporate both the XFPS PRO and features of the SmartJoy Frag. The Sniper Edition did a good job of removing any deadzones but at a price. Below is a video of the 3.0 Sniper Edition in action. The same mouses and keyboards that worked on the XCM XFPS 360 PRO will also work on the Sniper Edition. You can view the list of recommended mouses at XCM's site. Conclusion : Overall, the XFPS 360 3.0 Sniper removed deadzones that were on the XFPS PRO. There was not other improvements as it looked the same like its predecessor just a minor upgrade in color. Different people will have different buying opinions. Some prefer to get rid of the old and buy the latest upgrade while some prefer to keep the old and look for a way to improve or people will just complain. XCM should look into releasing an adapter like the SmartJoy Frag for those who purchased previous versions instead of releasing a slightly upgraded version and charging $80-90. Not only will early adopters lose money if resold but they have to shell out more money for the new upgrade.